The FDA is preparing to submit their final version of the Tobacco Deeming Regulations that will ban most vapor products within two years. The new regulations have been leaked, and to put it in laymen’s terms, it says that we’re all fucked. The new rules are very close to becoming official and would completely destroy vaping as we know it. CASAA has recently published a call to action. The only thing that can stop these insane regulations from becoming the law of the land is for the millions of people who have had their lives saved by vaping to call in and let their voice be heard. 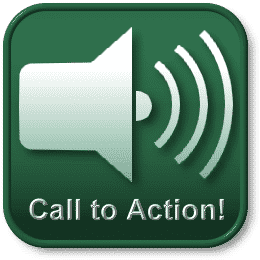 Today, Tuesday, October 27th, longtime vaping opponent the Campaign for Tobacco-Free Kids (CTFK) has organized a call-in action to urge President Obama to put pressure on the FDA to finalize their Tobacco Deeming Regulations. What CTFK and others are failing to mention is that if the deeming regulations are enacted as written, 99.9% of the vapor products currently on the market will be gone within two to four years. Make no mistake, the current proposed regulations will have a devastating impact on consumers and businesses alike; not to mention the obvious damage to public health. First, if you have not already done so, it is critical that you send an email to your Congressional representative and Senators asking them to support and co-sponsor HR 2058, a bill that would stop the FDA from banning 99%-plus of vapor products. Call the White House at 202-456-1111. We have provided talking points below. Third, please share this post with your friends. Read the talking points by clicking here. Previous articleWhy are Vapes Now Banned From Checked Luggage?